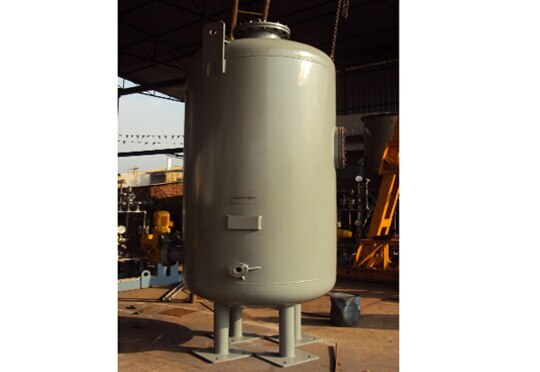 Activated Carbon Filter in Chennai, India from Chennai Equipments & Systems Pvt. Ltd.
Chennai Equipments & Systems Pvt. Ltd. CHENNAI EQUIPMENTS & SYSTEMS PVT. LTD. AN ENGINEERING COMPANY ENGINEERS THE INDUSTRIES FOR EPC (ENGINEERING PROCUREMENT & CONSTRUCTION) IN THE FIELD OF EQUIPMENT MANUFACTURING WATER TREATMENT PLANT SEWAGE TREATMENT PLANT EFFLUENT TREATMENT PLANT ULTRA FILTRATION PLANT REVERSE OSMOSIS PLANT SOFTENER PLANT DE-MINERALISATION PLANT MINERAL WATER PLANT CHEMICAL DOSING SYSTEM CHLORINATION SYSTEM & ACCESSORIES VISION: PROVIDING SERVICES WITH LATEST TECHNOLOGIES AT AFFORDABLE COST. MISSION: KEEP OURSELVES UPDATED TO LATEST TECHNOLOGIES KEEP OUR VISION ALIVE. Activated Carbon Filter is used to treat water having color, taste and odor. In Industries where water is to be pre filtered for further chemical treatment such as reverse osmosis, softening and demineralizing Activated Carbon Filter is used. The taste, color and odor are removed as the raw water is passed through Activated Carbon Filter where due to absorption properties of charcoal contaminate.